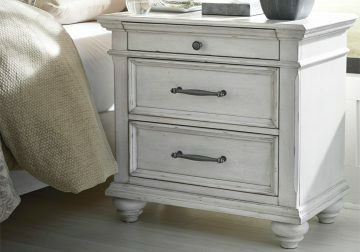 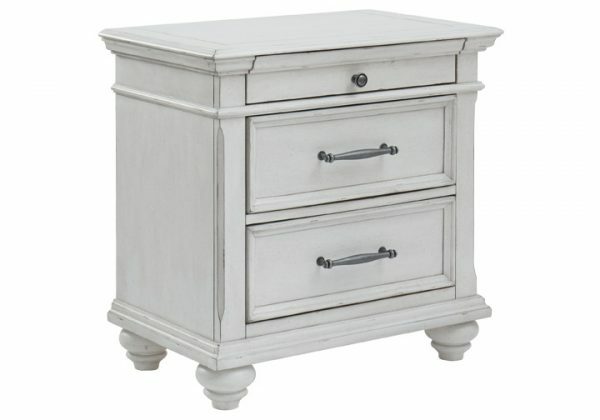 Give your retreat vintage charm and valuable bedside storage with the Kanwyn 3-drawer nightstand. 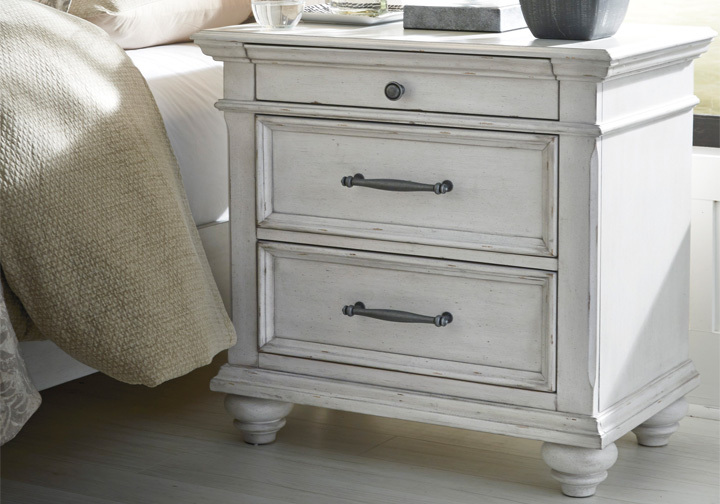 In a beautifully distressed whitewashed finish, two drawers and a smaller top accessory drawer will help you keep bedtime essentials nearby in casual style. Generously scaled moulding from top to bottom, along with bun feet and drawer handles with a transitional aesthetic, give this nightstand character—invoking the feel of a quaint cottage escape.